This week we look at one of the most familiar stories in the Bible, David and Goliath. 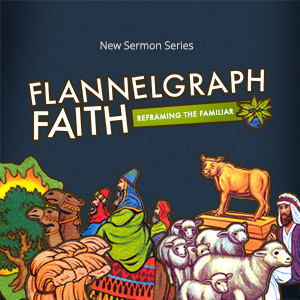 Listen in as we look at how we might slay the giants in our own lives as we continue our series, Flannelgraph Faith – reframing the familiar. https://danriverchurch.org/wp-content/uploads/2016/06/Flannelgraphic-Faithsq_SM.jpg 300 300 Joey Harris https://danriverchurch.org/wp-content/uploads/2016/06/drc-logo-300x138.jpg Joey Harris2017-07-30 11:00:112018-04-24 11:58:40Flannelgraph Faith Week 3 - "Giant Killers: David"